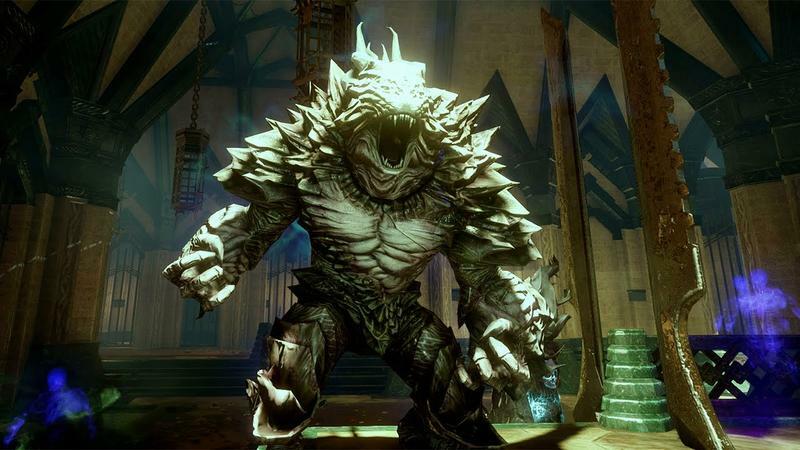 BioWare wasn't lying during its reveal of the Dragon Age: Inquisition multiplayer. This is an action experience through and through, and if you need any more proof, here is a trailer showing off exactly what it means. Inspired by the Mass Effect 3 multiplayer, BioWare's latest spin with Dragon Age: Inquisition uses the world from the main campaign as a backdrop for a brand new story and loads it with unique quests, unique characters, and of course, unique loot and treasure to greedily pick through and grab. Rather than complete a quest full of moral decisions and emotional attachments, your goal in multiplayer is to simply kill a lot of dudes and take their lunch money. The two modes are completely separate almost to the point of making Dragon Age: Inquisition two different games in one. Not a bad deal for $60. Any preference on characters so far? I'd like to avoid it and try something new, but chances are I'll just stick to my usual tastes and build an archer. We'll see, though. Dragon Age: Inquisition will launch on the PlayStation 3, PlayStation 4, Xbox 360, Xbox One, and PC on Nov. 18.